I am at a loss for words. 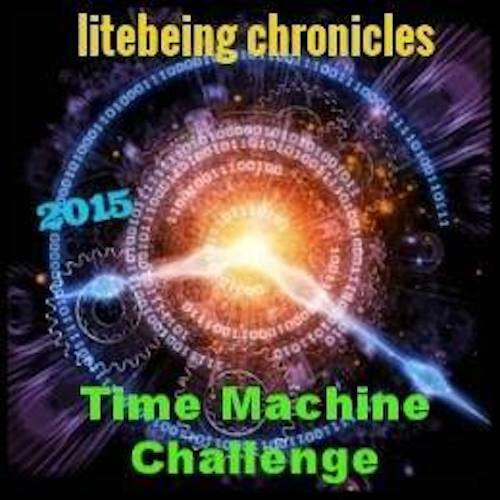 Here is the challenge I’ve agreed to take on, courtesy of Linda Lite at Litebeing Chronicles – Time Machine Blogging Challenge. Truth: This blogging challenge has me challenged. Truth: I have regrets (things about my past I’d like to go back and change). But sharing them here seems too personal (and more than a little selfish). Though I’ve maintained impeccable anonymity throughout my three years of blogging, revealing the lowest points of my life – the points I have any legit desire to go back in time and talk myself out of doing or handling differently to avert known results, takes impossible amounts of vulnerability and bravery that I do not have at this time. Forgive me. And forgive my poor punctuation. Truth: I’m no axe murderer, or DUI drunk that killed a family of six in a minivan. I havent been to jail or ruined someone’s life, not even my own. Truth: The regrets are still real. Truth: While I have gotten over a major need to go back and change the past, I wish I could go back in time and talk to me when I was in my darkest, loneliest times, the times where I felt I had no purpose or validation or future. You are a writer. You are a good writer. Maybe even a great writer. But you won’t know this until you spend years (your 20’s) trying to be a DJ, music composer, artist, painter, graphic designer, waitress, bartender, club hopper, and lay about. This run-around exercise – acting against ‘self’ and ‘destiny’ – will last seven years…or more…. hang in there. The sooner you start writing though, the sooner you can move on. You are a writer. You are a good writer. Maybe even a great writer, but you won’t know this until you exit the terrible relationships you entered with people you had no true connection of future with because you were busy trying to find purpose in your life. They weren’t wife beaters, but you weren’t the next coming of Picasso either. Your true purpose is being a writer. And when you find it you will meet people as your true authentic self. And you will not be worried about inflating non existent accomplishments, or proving your worth against anyone else’s worth, because you will have, and know, your own. And though you may stumble upon this tendency to doubt your purpose and your power, and your essential self, now and again (as past bleeds into present), stay strong, and true. And love will meet you half way. You are a writer. You are a good writer. Maybe even a great writer. So start writing now, no matter how much you don’t want to and keep at it. Don’t let those small poems and beginnings of short stories you didn’t believe were worth finishing sit in a top drawer next to old receipts and chapstick and become meaningless/unfinished fluff. Save them. Savour them. Share them. They are good enough for other people to see. And they are the beginnings of finding your true self and purpose. You are a writer. You are a good writer. Maybe even a great writer. So start writing and sharing even when you are too scared to do it. Don’t hold back on the truth you feel in your heart. You were made to feel ‘different’ as you often do. Your one-of-a-kind experience of feeling alone in your views of the world are real. 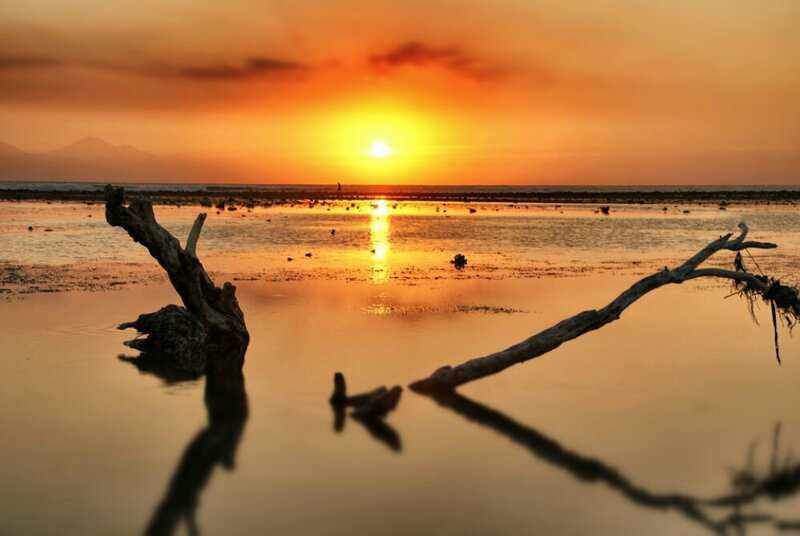 Your way of recounting it is unique, your voice is yours alone… But you must share it with other people so you can find magnificent connection and understanding across many seas, lands, and time zones. Then you will see that your unique voice resonates with others. This is a good and powerful thing, and does not diminish purpose or experience; it authenticates them. Do not be afraid to share what this ‘original’ voice is. Just be sure to keep it geniune. And keep writing it, so it grows stronger, more personal, more brazen, and more bold, and therefore, more relatable. You are a good writer. Not a great writer. Not yet. Not until you sit down at the keyboard and sweat it out for hours everyday. Not until you give up all other notions of wealth and fame and fortune falling out of the sky to give you something to do and take your worries away, and not until you stop hiding and running away from the keyboard. The only way to get to that place you need to be as the writer you want to be is the put the work in. No shirking, no jiving, and no running. Just sitting at the keyboard and doing. And more doing and more sitting at the keyboard – Facing those crippling fears that keep you from pressing the send button, until you’ve sat so long you press send because you can’t sit and wait anymore. This will happen much sooner than you think. And more often, once it’s been done that first time, bad punctuation and all. You are a good writer. People will read what you have to say. No ones going to be upset by your views, or hold them against you, or hate you. No one cares. And they probably won’t for years. And when they do, you’ll have made it. Which means more people are reading and relating to you than you ever could have imagined. How’s that for facing your fears and welcoming what the universe has in store? You can be a great writer. But you must always knows that the advice I’m giving you now will never not be true. You will never feel as if your work is good enough. You will never be completely satisfied that anything is done. You will never know how good your writing is until you have the guts to share it. Then someone may tell you (but don’t count on it) and then that feeling of “I am a great writer” will disappear the next morning, or as soon as you sit down at the keyboard and challenge yourself to write again. It is a part of writing. It doesn’t always feel great because it is art, and there are no guidelines in art, and if you are being your authentic self the words you are sharing have never been shared before. And that ain’t easy. Truth: Its happening right now. I don’t like what I’ve written here today. But i am sharing it. and maybe one day in the future I’ll look back and say, I wish I could go back to that October day in 2015 and say… press the send button, silly. It isn’t your best writing. and you didn’t share all of the events of the past that you’ve thought about fixing many a time. But maybe because you can have this conversation in your head about not being afraid to share this, you’ve made tremendous strides as a writer, and as a human trying to do her best on a strange planet spinning around a quadrant of the vast universe that poses many more exciting questions than it gives answer to. And maybe one of your friends who is purposed to be a writer, but is still afraid to be a writer, is reading this, and will say… I am a writer. and I better start writing today, despite my fears. Because it won’t always be easy, but it does get easier. Thank you to all of my Odyssians for reading. and for understanding. DESTINY. FATE. CHOICE. CHANCE. LUCK. REALITY. TRUE PURPOSE. Was there ever any other way things could have gone? were we ever in control? are we now? how could we ever know what was right or wrong, until we did it? did we not do our best at that time. will we not make mistakes again? Are we not better for having made them, and learning. For there is no advancement without loss or pain. And none of us is privy to the future. and none, not even the gods, can change the past. It is solely up to us to think about our lives (and what we’ve done) in different ways. And hope that we prepare ourselves for the future with wiser and more forgiving eyes. ****Please check out more Time Machine Challenges and follow tomorrow’s (October 10, 2015) addition by Tiramit. Never forget your purpose… and remember to believe that we each have one.